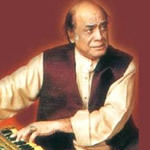 You can download Mehdi Hassan high quality mp3 Ghazals. This Ghazal Collection was released by Mehdi Hassan. There are about 8 mp3 Ghazals in this Collection.